Are you a coach looking to sharpen their skills? Planning to complete a coaching certification or ICF credential. We provide individual mentor coaching support and also mentor coaching groups of 3-6 coaches. The International Coach Federation (ICF) requires 10 hours of work with a mentor coach for ACCs renewing their credential, or new ACC or PCC applicants undertaking the ASCTH or portfolio routes. Since 2006, coach Jennifer Britton, well known for her work in the area of group coaching, has been offering mentor coaching individually to ACC and PCC applicants. As author of Effective Group Coaching, she brings her mastery of group facilitation, and her deep understanding of the core coaching competencies, into the mentor coaching arena. Jennifer herself has also completed over 3000 hours of coaching with corporate, team, group and individual clients. In addition to individual mentor coaching packages of 10 hours (click here for more information) We are pleased to offer the Mentor Coaching Group. The Mentor Coaching group meets the requirements of 10 hours of mentor coaching by the ICF for ACCs renewing their credential, as well as those working towards their ACC and PCC Portfolio routes. These 10 hours are spread over a 3 month period. Benefit from sharing and learning in a small peer group, while focusing and refining your coaching skills in the 11 core competency areas. Also benefit from a lower price than working with a mentor coach individually. Session module notes which explore each competency at a deeper level, a coaching tool/template related to that core competency, along with a related resources. Group size is limited to 3-6 coaches to ensure individualized attention. Benefit from the synergy and collaborative learning which happens in a group environment, while still getting 1-1 coaching to meet your mentor coach requirements. A letter of support, based on your successful demonstration of the 11 core competencies, and completion of the 10 hours of the mentor coaching group program. 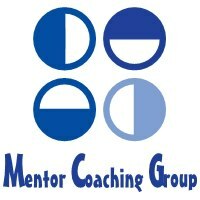 New mentor coaching groups start every one to two months. You can find out more about the program and upcoming start dates at our sister site - GroupCoachingEssentials.com. Click here for more information, upcoming session dates and registration.